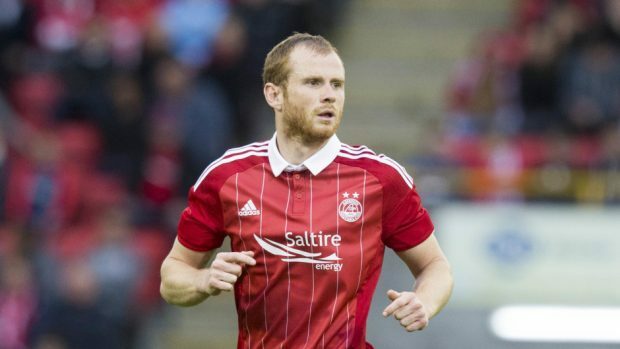 Aberdeen defender Mark Reynolds wants the Dons to use their double-header with Rangers to prove they are still the second best team in the country. The Dons are six points clear of the Ibrox side ahead of tonight’s meeting in Govan. With the teams due to meet again at Pittodrie on Sunday lunchtime, Derek McInnes’ side could end the weekend 12 points clear of their rivals. The Dons have finished runners-up to Celtic three years in a row and Reynolds says his side intend to remain the country’s second force. He said: “There’s been a gradual build up since the manager came in. “He’s been wanting to build a strong team, he’s been wanting to challenge, he’s been wanting to win trophies and he’s been wanting to get better and better. “I think we’ve done that. “We’ve managed to keep hold of him. He turned down Sunderland in the summer and we’re still doing well. “I don’t think we’re playing as well as we’ve done before, there’s still a lot more to come from us, but we’re still sitting second in the league and lost only two games. “Aberdeen haven’t announced ourselves because we’ve been there for the last three of four years now. However Reynolds believes it is becoming tougher for the Dons to remain best of the rest with Rangers, Hearts and Hibernian now all back in the top flight. He said: “I think we’ve got the target on our backs just now. I think that there’s a lot of suitors coming and trying to take that off of us. It’s still a long season. “We’ve always said that December is a huge month, regardless of who you play. “There are several fixtures and if you come out of that okay then it sets you up for the second half of the season. We’ve got some big games coming up. “Obviously the double header with Rangers is huge because they’re right up there. It’s going to be tough but we’ve managed to do it the last couple of seasons. “This is probably as strong a league as it’s been in the last few years. “Hibs are going well, Hearts are back, Rangers are going well and Celtic are up there. There are four or five teams who are all going to be pushing each other and taking points off everybody. Reynolds is looking forward to coming up against former teammate Ryan Jack, who will line up against the Reds for the first time since his controversial summer move to Rangers. Reynolds added: “I’m sure that he’ll look forward to it. He’s still got a lot of friends here. “There’s obviously an added edge for him and an added edge to it for us. “But we go into the game looking for the three points, the same as any game, and the game’s got enough edge on it already without taking that into account. “I’ve spoken to him here and there. “Football’s a strange game. You live in a changing room with a guy for years and then they’ll leave and you don’t really speak to him then when you see him you just pick up like they’ve always been away.